Every year the small town of Stowe, VT, is overrun with vacationers eager to get a taste of mountain air, and for nearly 50 years they’ve outfitted their children in style at Yellow Turtle. Every year the small town of Stowe, VT, is overrun with vacationers eager to get a taste of mountain air, and for nearly 50 years they’ve outfitted their children in style at Yellow Turtle. The 1,500-square-foot space was the birthplace of Turtle Fur fleece accessories, and has since transformed into a one-stop shop for tourists as well as locals. “We’ve developed a reputation with out-of-towners from Boston, New York and Montreal, who love to shop here because their hometown boutiques are gone,” says Tracey Davidow, manager. 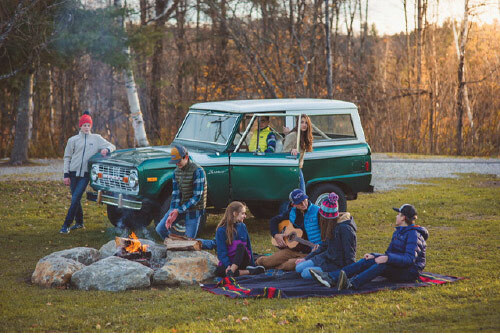 Yellow Turtle keeps customers coming back with its curated selection of clothing and gear from tots to teens from trusted brands like Mayoral, Me & Henry and Kissy Kissy as well as outdoor performance brands like Patagonia, Obermeyer and Hatley. Davidow relies on years of experience running a large children’s store in Boston to make Yellow Turtle successful. She’s even expanded to a second location (across the street) exclusively for baby, gift and home decor. “Customers now have a whole gift store they can explore instead of walking through the prom dresses and ski department to get baby clothes,” she says. Visitors love the change, with Davidow reporting a 54-percent increase in overall sales the first two weeks of this past December. What are your top-selling brands? Our boutique lines are Tea Collection, Johnnie-O and Appaman. Kickee Pants and Elegant Baby are top sellers in our gift and baby store, and Sally Miller girls dresses are big for the teens who come here for their formals. How about in outerwear? We’re the largest retailer of children’s Patagonia in the state. We sell them year round, from sweaters and fleece to swimwear. Other leading outdoor brands are Burton, Spyder and Obermeyer, which we’ve been stocking for more than a decade now. Any new brands added to the mix recently? We just brought in Reima, a Finnish children’s outdoor and ski brand that is the European equivalent of Patagonia. Currently, they sell exclusively through us in the States. Who’s the typical Yellow Turtle customer? We have several customer personas: the active, local mother looking for quality gear and affordable clothing; grandmothers who love shopping for their grandkids and impulse buy; and out-of-towners who forget their kid’s gloves, hats and jackets and need to pop in to gear up. It helps that people tend to think a little less about what they’re spending when they’re on vacation! How’s business this past year? Sales are up, but retail is always a struggle. We treat our staff with perks and compensate them really well, but that’s also an expense. Keeping the business growing and expanding is a challenge, but it’s exciting to find that balance. Surviving sure is better than the alternative. It is always sad to see businesses close. We live in a small, rural state and maintaining a retail presence is extremely difficult. Fortunately, we’re unique in our location and constant support. What trends have been big this winter so far? I don’t know why, but everything that has been selling out is navy blue. My other buyer also brought in a huge order of fur coats, and I didn’t think we’d be able to sell them. But we sold out before Christmas. What’s your take on brands that are expanding their direct-to-consumer (DTC) efforts? Well, I’m always happy when I hear vendors that are protecting the retailer and will certainly factor into my buy. But the fact is most brands sell DTC, which means we just have to compete. Tea collection, for example, has a huge DTC program, yet they’re still one of our top-performing brands. Our approach is to remind our customers that supporting local businesses provides convenience for them and jobs for us. Any New Year’s resolutions? Business-wise, it’s (always) to trim costs and focus on ecommerce sales and marketing. We also purchased the staff classes to RIDE, a cycling studio. It‘s a great way to burn off retail stress and work on team building! Where do you see Yellow Turtle in five years? We have a five-year plan in development. We’ve talked with the business that owns us about setting aside some capital to create some of our own baby and gift products to help with margins. We would also love to expand again.